The DFM presented at the NAPCRG annual meeting—the world’s premier primary care research forum—in November. 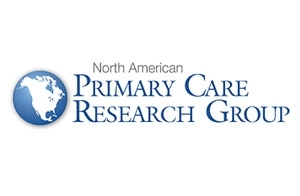 Eighteen Department of Family Medicine (DFM) faculty, staff, and resident/fellowship graduates presented at the 2014 North American Primary Care Research Group (NAPCRG) meeting, held November 21-25 in New York. The NAPCRG meeting is the premier international forum for presenting new knowledge in primary care and advances in research methodology. In their posters and papers, DFM researchers addressed such topics as statin prescribing guidelines, obesity interventions, pre-visit planning for elderly patients, and influenza surveillance. The DFM’s John Beasley, MD, and collaborators also gave a workshop on the role of industrial and systems engineering in improving primary care. Founded in 1972, NAPCRG is a volunteer, multidisciplinary organization for primary care researchers. Members come from all primary care generalist disciplines and related fields, including epidemiology, behavioral sciences, and health services research. DFM chair Valerie Gilchrist, MD, serves on NAPCRG’s board of directors as secretary-treasurer, and Wisconsin Research and Education Network (WREN) director David Hahn, MD, chairs its Community Clinician Advisory Group.